On October 18, US Secretary of State John Pompeo said he had warned countries in Latin America such as Panama to be wary of doing business with China, as Chinese State-owned enterprises engaged in "predatory economic activity." The announcement was a sign of anxiety in the US, as Chinese influence is rising, Latin American experts say. 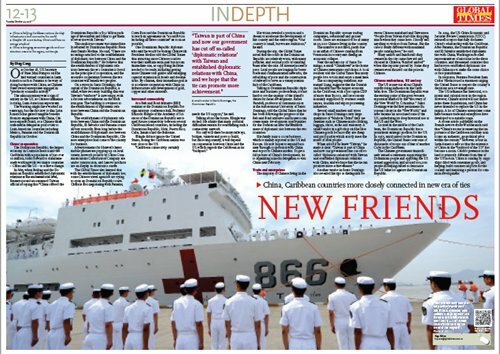 The warning might have worked 20 years ago, but the fact now is that Latin America has gained tangible benefits from its engagement with China, Chinese experts found, as a Chinese think tank-media delegation paid a visit to Latin American countries including Mexico, Panama and the Dominican Republic in October. The Dominican Republic, the largest economy in Central America and the Caribbean with a population of just over 10 million, looks forward to simultaneously working with two major countries - China and the US - to achieve change. 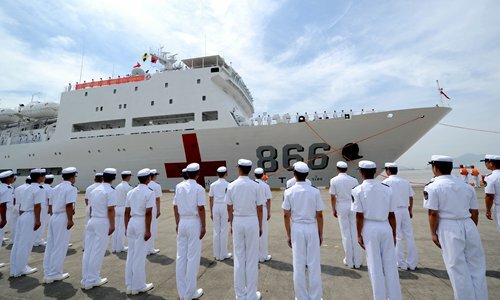 In May, when Beijing and the Dominican Republic established diplomatic relations at the ambassadorial level, Reuters quoted an unnamed Taiwan official as saying that "China offered the Dominican Republic a $3.1 billion package of investment and loans to get them to sever ties with Taiwan." This malicious smear was immediately rebutted by Dominican Republic President Danilo Medina. He said, "There are no strings attached to the establishment of diplomatic ties between China and the Dominican Republic." He believes that the establishment of diplomatic relations between the two countries is based on the principle of cooperation, and the extensive cooperation between the two countries will benefit two peoples. On a street in Santo Domingo, the capital of the Dominican Republic, a small, white two-story building that was Taiwan's "embassy" is now empty, with a for-rent advertisement on the black iron gate. The building is a witness to the establishment of diplomatic relations between China and the Dominican Republic. The establishment of diplomatic relations between China and the Dominican Republic, El Salvador and Panama comes all very naturally. Even long before the establishment of diplomatic ties between China and the Dominican Republic, Chinese enterprises had come to the country for business. Advertisements for Huawei's latest mobile phones are popping up on local streets, network projects by China Communications Construction Company are under construction, and Lenovo products are on display in electronics stores. The Global Times also learned that with the establishment of diplomatic ties, some Chinese travel agencies are trying to open up Dominican Republic tours. China is also negotiating with Panama, Costa Rica and the Dominican Republic to reach an agreement on "a tourist visa including all three countries" as soon as possible. One Dominican Republic diplomat who said he would be visiting China with President Medina told the Global Times that attracting more Chinese tourists was their medium-term goal but not an immediate one, as supporting facilities needed to be ready, including getting more Chinese tour guides and enlarging capacity expansion in hotels and destinations. By contrast, their immediate goal is to accelerate cooperation with China on infrastructure and development of gold, copper and other minerals. At a Belt and Road initiative (BRI) seminar at the Dominican Republic foreign ministry conference hall, Professor Eduardo Klingle of the Academy of Sciences of the Dominican Republic envisaged future connectivity between several Caribbean island countries, including the Dominican Republic, Haiti, Puerto Rico, Cuba, Jamaica and the Bahamas. Klingle did not ignore the United States, noting the Caribbean nation was very close to the US. "Caribbean connectivity certainly needs the US support," he said. Talking about the future, Klingle was excited. He admits that many practical difficulties remain for establishing such a connectivity network. Not only will there be many railways, bridges, tunnels and ports to build, but more importantly, it will depend on cooperation between China and the US, which regards the Caribbean as its "backyard." His vision revealed a passion and a dream to accelerate the development of his country and the entire region. "Our country is small, but we are ambitious," he said. During the trip, the Global Times noted that the roads in the Dominican Republic are relatively worn, with many potholes, and serious pools of standing water after the rain. Its internet access is poor. Local people are longing for better roads and communication networks, the rebuilding of ports and the construction of railways to serve as a transportation hub of the Caribbean. Talking to Dominican Republic diplomats and business professionals, it's not hard to see the urgency of the island's desire for faster development. Rafael Paradell, professor of communication at the Autonomous University of Santo Domingo, told the Global Times that he has been following the progress of the Belt and Road initiative and hopes it can create many development opportunities for the Dominican after the establishment of diplomatic ties between the two countries. His family runs a cocoa business, which is mainly exported to the US and Europe. He now hopes to expand business through cooperation with China and export to Chinese market. To get a full picture of China's development, he is organizing a media delegation to visit China next February. The majority of Chinese living in the Dominican Republic operate trading companies, restaurants and grocery stores. There are estimated to be as many as 20,000 Chinese living in the country. The number is not fixed, partly due to an influx of Chinese coming from Venezuela in recent years fleeing an economic collapse. Near the ancient city of Santo Domingo, a small "Chinatown" is the home of Chinese restaurants and shops. A local resident told the Global Times that many people love to visit and enjoy a meal here. The accompanying translator, surnamed Liang, suggests that the Dominican Republic has the largest economy in the Caribbean, with a per capita GDP of more than $7,000, and its economy is mainly supported by overseas remittances, tourism and export processing industries. Several small markets and street shops in Santo Domingo carry large quantities of "Made in China" daily necessities such as Chinese-made clothing, luggage, shoes, socks and stationery. A small vendor in a gift shop said he likes Chinese goods because they are cheap and good quality which exactly meet the needs of local people. 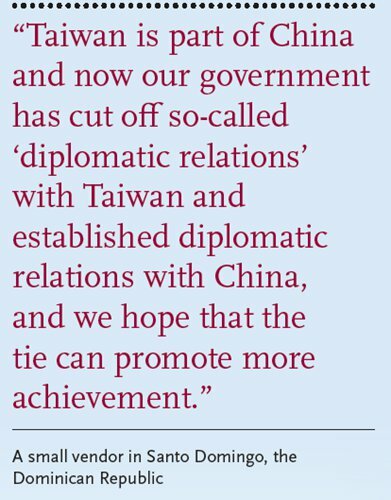 When asked if he knew "Taiwan," he made it clear: "Taiwan is part of China and now our government has cut off so-called 'diplomatic relations' with Taiwan and established diplomatic relations with China, and we hope that the tie can promote more achievements." Another vendor in Santo Domingo also revealed his tips to distinguish between Chinese mainland and Taiwanese. "People from Taiwan don't like shopping much when they come here. I hardly sell anything to visitors from Taiwan. But the case is totally different with mainland people coming here," he said. Many amber and handicraft shop owners in the city came forward and shouted in Chinese, "Amber! amber!" when this reporter passed by. Some shop owners even shouted out the price in Chinese. The US is nervous about China's rapidly rising influence in the Caribbean area. The Dominican Republic was the starting point of the great western expansion marked by the "discovery of the 'New World' by Columbus." Santo Domingo was the first permanent European colony in the "New World," and later became an associated state of the US, underlining its deep historical ties to the US and the West. Located in the middle of the Caribbean, the Dominican Republic has a prominent strategic position for the US. In 1965, amid unrest in the Dominican Republic, the United States sent tens of thousands of troops out of fear of another Cuba in the Caribbean. The Chinese government immediately issued a statement supporting the Dominican people and opposing the US armed aggression, and around 100,000 people in Beijing rallied to denounce the US behavior against the Dominican Republic. In 2014, the US-China Economic and Security Review Commission (USCC) released a report that fully discusses China's relationship with the Caribbean. After Panama, the Dominican Republic and El Salvador established diplomatic ties with China, Washington recalled representatives of missions in the three countries, and threatened countries that had not yet established diplomatic ties with China not to make the same choice or face punishment. In response, Panama President Juan Carlos Varela issued a statement urging the United States to respect the country's decisions as a sovereign state. The US influence has historical, economic and cultural roots in the region. However, China's arrival will not undermine these foundations, and China has never intended to replace the US in the region. A lot of Chinese enterprises come here because trade and enterprises have developed to a suitable stage. A recent article published on the French news website Worlderunch said that "China's ascent is renewing the importance of the Caribbean and may turn it into an authentic, geopolitical pivot within the century." However, a tour in Latin America tells us that the existence of China in the "backyard of the US" has become a norm. China's presence in the land is primarily different from that of the US in Asia. China is coming by cargo ships filled with consumer goods, and helping build commercial ports for the country and inspiring a passion for common development.